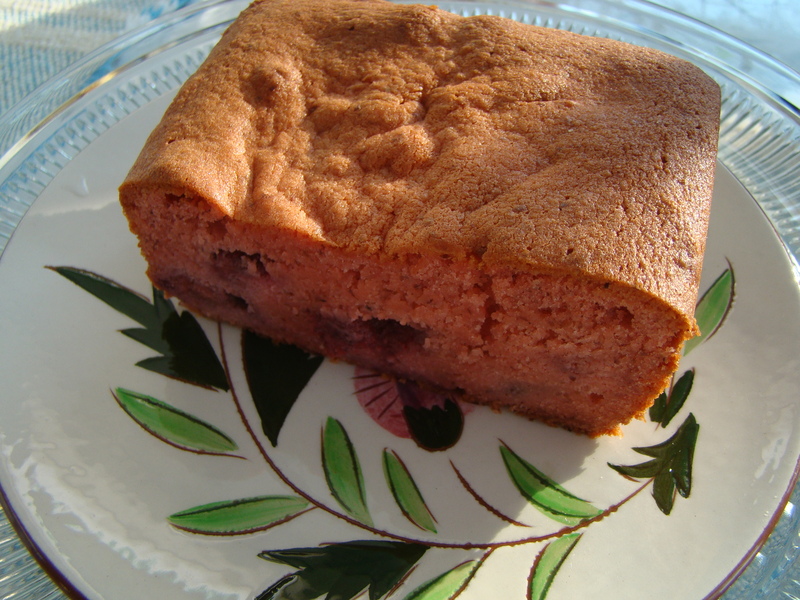 This week for French Fridays with Dorie, we made a mysterious cake: Ispahan Loaf Cake. The name itself is exotic. Ispahan is both the name of a city in Iran, formerly the Persian from 1598 to 1722 and an old Damask rose. Pierre Hermé created a macaron combining the flavors of rose, raspberry, and litchi and named it Ispahan. For a mere 6.90 Euros, you can purchase an individual macaron to try for yourself! This week’s cake recipe uses mostly almond flour lightened with beaten egg whites in tribute to its macaron inspiration. The batter is flavored with roses (syrup and extract) and layered in the pan with berries. The syrup gives the cake its shocking pink color! Rose syrup and rose extract introduced an element of “the hunt” to the game. I set out to the Middle Eastern neighborhood in nearby Watertown, hoping to locate the rose syrup. I found many brands of rosewater and many other flavors of syrup, but in the three well-stocked groceries, there was no rose syrup to be found. My next excursion to a well-stocked Indian grocery in Waltham resulted in success! The rose extract was slightly easier to come by. I found it at Sur La Table which is in the nearest shopping mall. For the fruit layers, I was hoping to use raspberries that we froze last summer, but I seem to have used them up. I found frozen strawberries from last summer, so used those instead of fresh raspberries. On to the actual cake… I might be in the minority on this one, but this is far and away my least favorite recipe in the book to date. I knew Howard wouldn’t even try it after he took one whiff of the rose syrup still in the bottle. I was so intrigued by it, but I found the taste too flowery and the texture too moist. I even had to bake the cake for an extra 10 minutes before my tester came out clean. As with all doubtful baking, I brought the cake to the office. It got eaten, but no one seemed overly impressed with this one. I’m eager to know what the other Doristas think. You can find links to their posts here. The recipe can be found in Dorie Greenspan’s book Around My French Table. Happy Spring! First day of spring in Lexington gave us light snow after an 8-inch snowfall earlier in the week. Ugh! In January, I’d be delighted. In March, I’m annoyed. You might not be able to see it, but there is snow falling… on March 21! Posted on 22 March 2013, in Baking, French Fridays with Dorie and tagged cake, French Fridays with Dorie, roses. Bookmark the permalink. 19 Comments. Yours if the first pink cake that I have seen yet. My syrup was pink, but apparently not pink enough to color the whole cake. As for the taste, I can’t really pass judgement since mine was such a disaster. Betsy, Rose is right, your cake has a lovely rosy color – sad that you did not really like this cake but it was certainly quite interesting to read up on all the info out there on the very popular Macaron Ispahan that inspired this cake. Have a lovely weekend and not too much snow. P.S. : Sorry, I think I forgot to mention yesterday the kind of lentils I use for the soup – either the Puy or green lentils (those that stay intact when cooked for a good hour). Hope that helps. I was kinda hoping I’d get a beautiful pink cake, but no dice. Yours looks great! So, at least it looks good, even if you weren’t thrilled with the flavor! I can see why you might not be so thrilled with it. At least you gave it a shot! Nice work! For a mere 6.9 Euros, huh? It is a pretty pastry, though. I think yours is the first pink cake I saw & I don’t think you are in the minority -this one seemed to have mixed feelings attached to it. My cake didn’t come out pink! I can definitely see how this cake, and the flower-flavored-food thing in general could be pretty divisive. I liked the cake. Didn’t love it, but liked it. Ugh–snow. I’ve moved around so much, and have been in warmer areas for the past few years, that it’s going to be really hard for me to get used to cold and snow again in my future. It´s such a nice rose color. Too bad you didn´t like it. The rose scent is too soapy for my taste, but it gets disguised a bit in this recipe. Be warm! I’m with you on the flavor of the cake Betsy… but I know you have a great big bottle of syrup you need to use up. Try making a vodka or gin cocktail. I have one I made up on my blog. I really liked the rose more in a drink. I’m with you on this one, Betsy. At least you got the pink color I was hoping for! I hope you have a great weekend – sorry about the snow. You are the only baker that produced a really, really pink cake and you don’t even like it. Darn. I think mine wasn’t pink because I made my rose syrup, using rose water, but didn’t add red coloring. I really liked this and everyone who tasted it liked it also. (Sometimes they lie to not hurt my feelings.) I cooked mine an extra 15 minutes and then turned the oven off, opened the door and let the cake cool off in the oven for an hour. Sorry this was low, low, low on your totem pole of likes. Send the snow to the West.. We need the moisture. I would have gone to Christina’s Spice at Inman Square if I’m still in Boston. Love that store! Your cake turns out good still. Your cake is pink! Awesome! I used only rosewater, it was all I could find, but I really liked the taste that I ended up with. You have snow in March and we are having temps in the 30’s (degrees celsius that is) it’s crazy! Yeah, I’m shocked that Bill did not echo Howard’s feelings on this one! We have 6-9 inches of snow in the forecast for tomorrow…ugh! You were brave to go around hunting for all the special ingredients. I kind of dig your very pink cake. My girliest girlfriends would be all over it! Sorry you didn’t enjoy this one! I thought it was good but not anything out of this world. I’m glad I didn’t spend lots of money on the specialty ingredients! It seems that topsy turvy weather is everywhere – in Melbourne, we have had an autumn heatwave. I liked this cake, and avoided the search for the rose syrup because I made this cake a couple of years back and had to buy the syrup then. I found my syrup in a Chinese grocer! At least you got a pink cake…only the second one I’ve seen. I’m not into eating roses although I love smelling them. The raspberries were good but I’m happy I added a strong fresh orange zest and juice glade to my cake…that flavor came through and no worries about the roses. Good try. Glad you found some eaters…not a cheap cake to bake. I totally understand being sick of snow in March, but I’m jealous. 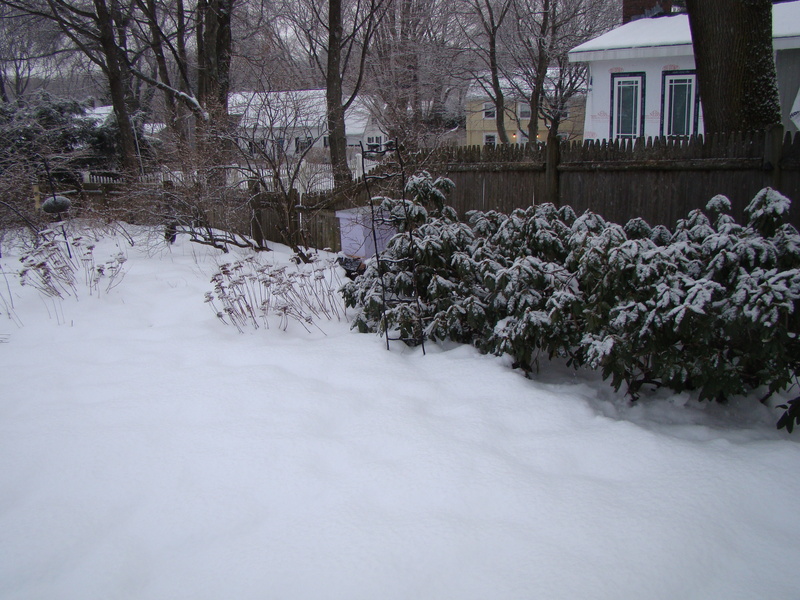 We hardly got any snow this year…I’m sorry you didn’t like this one. Opinions are definitely mixed!